KPN Green Energy Solution Public Company Limited. was registered as a limited company on June 3, 2011 with a starting registered capital of THB 4 million, which now has the registered capital of THB 150 million, providing design, procurement, construction and installation in renewable energy power plants, such as solar power projects, biomass power projects, waste to energy power projects, including high-voltage transmission systems, construction of high-voltage stations and substations by professional teams in areas of project development, consulting, engineering, equipment sourcing and construction. These businesses have been growing correspondingly with the economic growth and the energy development systems of the country. Additionally, the Company, as an investor, entered into renewable energy projects which include biomass and solar power as well. The Company was registered as a limited company on June 3, 2011 with a starting registered capital of THB 4 million, providing design, procurement, construction and installation services for alternative energy projects starting firstly with a construction of a biomass power plant. The Company began to bring in an audit company to handle internal control and audit, as well as continuously provided design, procurement, construction and installation services to the construction of biomass power plants. 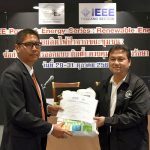 The Company increased the registered capital to THB 12 million and started to provide project development, engineering, consulting, design and construction services for solar power plants. In addition, the Company, under the name of KPN Solar One Co., Ltd., stepped into an investment in solar power generation projects distributing to the Provincial Electricity Authority (PEA) and started the business providing construction services of high voltage stations – 230/115 KV substation. The Company also received the ISO 9001: 2008 certification this year. The Company increased the registered capital to THB 60 million to support the business growth, and started providing the services to high-voltage stations – 500 KV substations. During this year, a lot of private sectors were interested in investing in solar power plants. The Company therefore focused on efficiently providing the services to solar power generation. The Company expanded the business to include project development, engineering, consulting, design and construction services for waste to energy power plants.